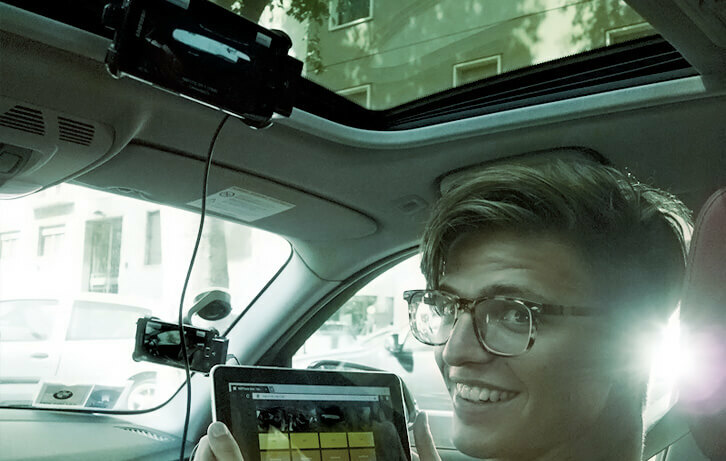 The project: A reality show live from a car: this is the project chosen by BMW Italy for the launch of the new BMW 1 Series. Marco asked and obtained to live in the car for 20 days, never getting down, constantly filmed while driving around in Italy. The reality show started from Milan and was concluded at the Monza circuit with a large event that crowned the success of the project. The first national reality show on 3G Network: Samsung furnished the four Galaxy SII, alias the cameras and microphones. Just like a real director, Marco followed the 4 videos on a 10-inch Galaxy Tab through which he chose the streaming one. 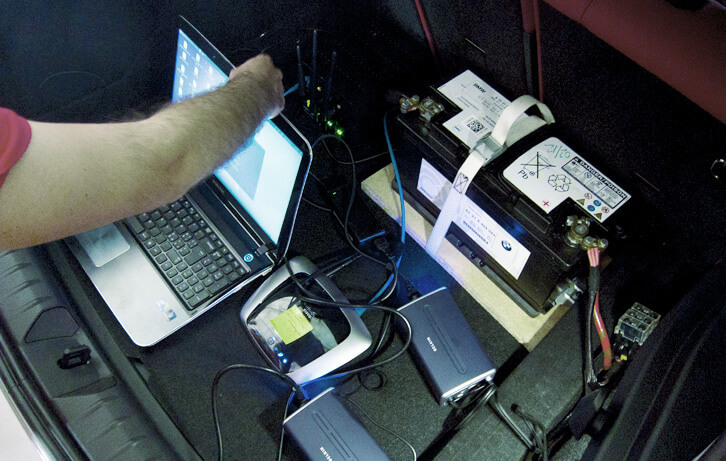 All devices were connected via WiFi to a server in the trunk. The stream was entrusted to three SIM and a 3G modem that managed them according to signal strength. Da Milano a Roma in 20 giorni. Vivere chiusi in macchina per 20 giorni? Si può! The project: We made a guitar, easy to play and affordable, without sacrifice the features that make it enjoyable even to expert guitarists. We took much care of the graphic, down to the tiniest details. 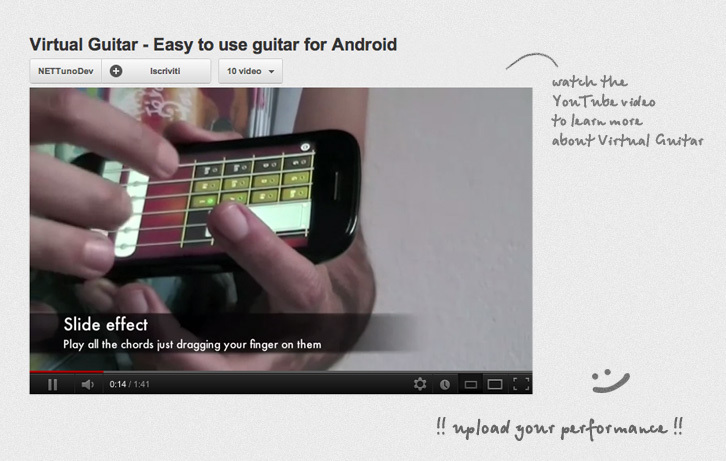 The strings animation and the opportunity of arpegging and strumming them, give to the guitar a great realism. 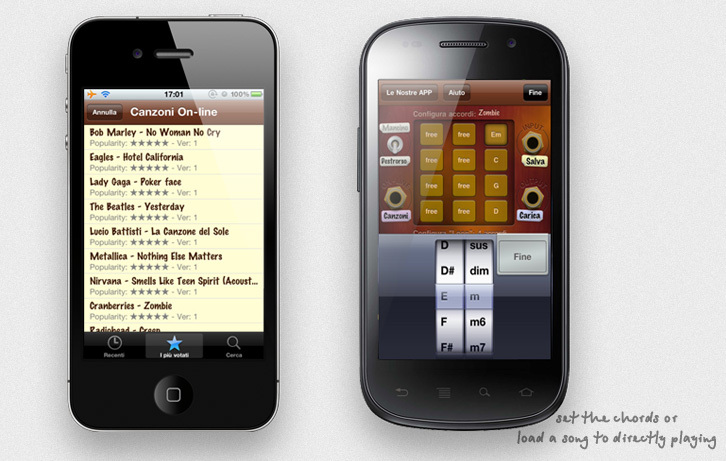 The first mobile community of guitarists in the world: Thanks to user feedbacks and to suggestions from the blogger, with the numerous updates that we made we came to give the opportunity of sharing chords of songs that can be immediately played, thus creating the first mobile community of guitarists. It reached the second place among the music app in America, just behind Pandora, beating apps the likes of Shazam and SoundHound. It has established itself in the first rank in the stores of many countries including Italy and Germany. 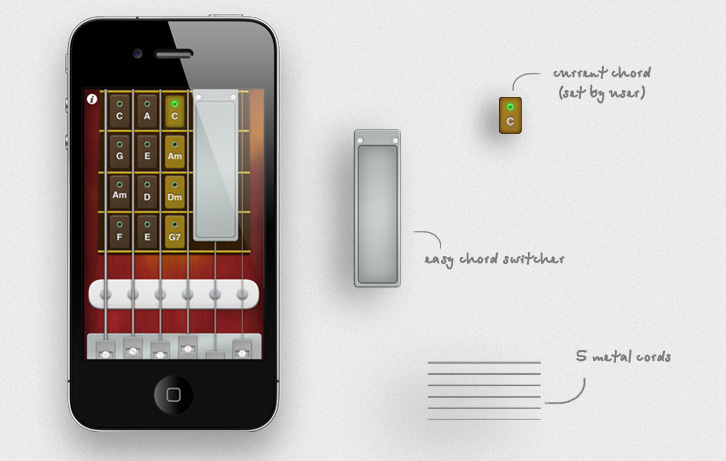 It received reviews from many blogs, including the famous 148apps, iSpazio and TiPB for which was Picks of the Week. The project: No More Mosquitoes acts like the numerous electrical ultrasonic mosquito repellents available on the market. We chose to make it available completely FREE, also giving it some unique features that distinguish it from other apps like that. 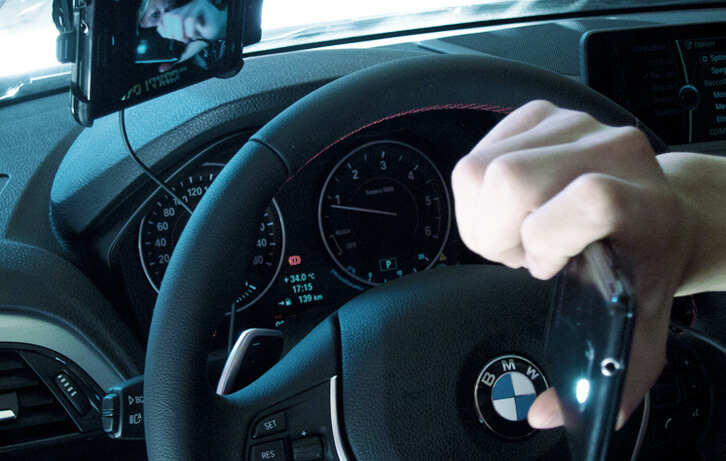 As for example, the audio background functionality that minimizes the consumption of battery and allows to use the app simultaneously with other applications. 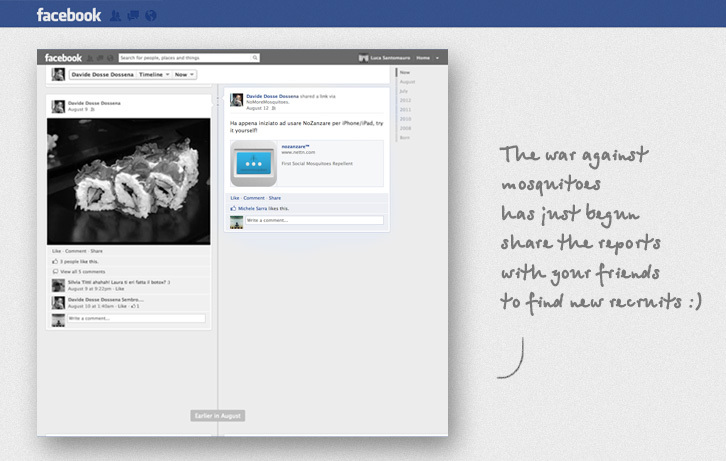 The only social mosquito repellent: The most technologically advanced mosquito repellent in the world. 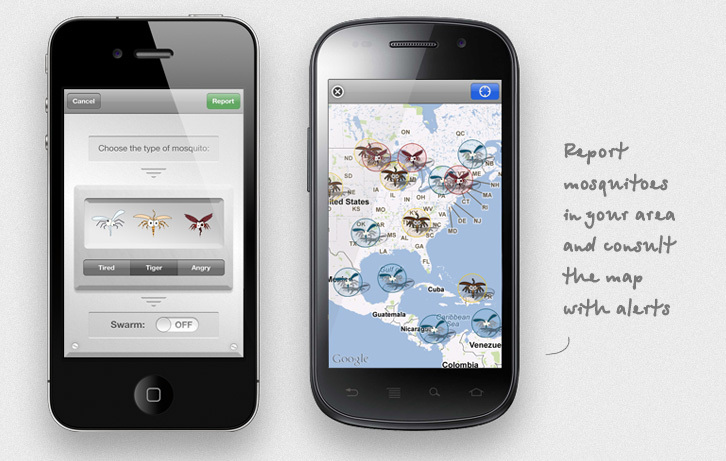 It offers the opportunity to report the presence of mosquitoes, geolocated by GPS, and share it on Facebook. 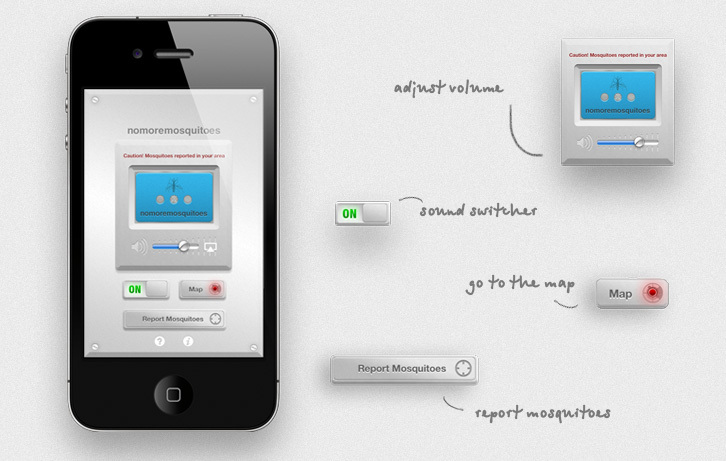 All reports are displayed on a map, also visible online, allowing you to know and avoid areas with more mosquitoes. It has been several times the most downloaded among more than 18,000 free utilities. 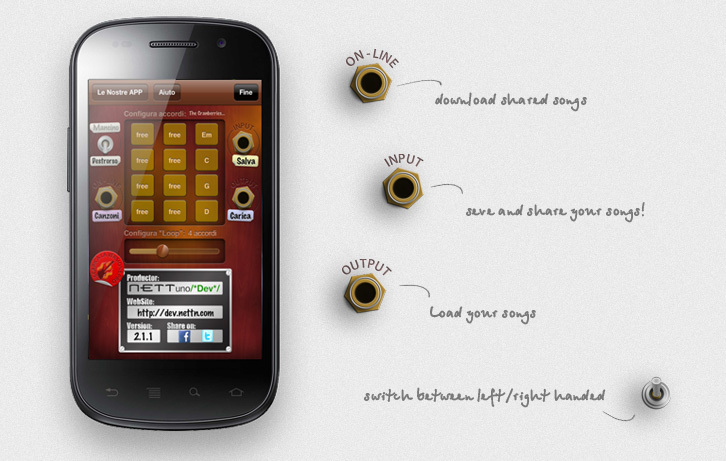 A success evidenced by the very high number of downloads on ​iPhone, iPad, Android and WP7. Its effectiveness has prompted debates and more than 1000 reviews by users, most of which are quite funny. Software for anyone on any device.